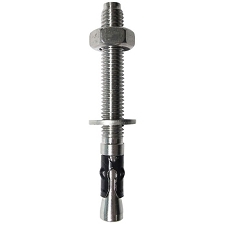 Triplex expansion bolt made of PLX with high resistence to erosion. 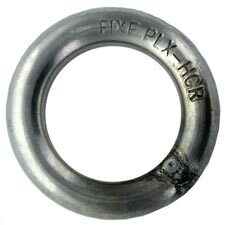 The Fixe Triplex bolt was designed specifically for rock climbing. 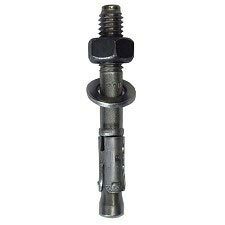 Triplex is the highest quality climbing bolt available. Triplex uses the same expansion principal as the Rawl 5−Piece bolt. Triplex takes anchoring a step further by eliminating the nose cone with a solid stud system. 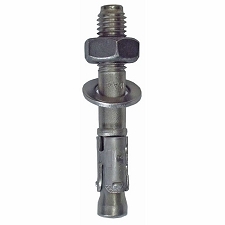 This design allows Easy Removal for replacement and consists of only 3 Parts. The sleeves expand by tightening the nut which draws the tapered stud from the hole. This system places the threads outside of the rock eliminating hidden thread and nose cone corrosion. 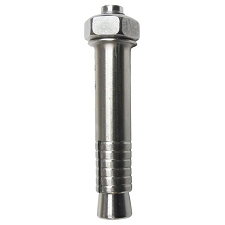 Triplex bolts are reusable! Ideal for re−equipping routes as new holes are not required. Customer Opinions "Triplex 12 x 70 PLX"